Hi there! 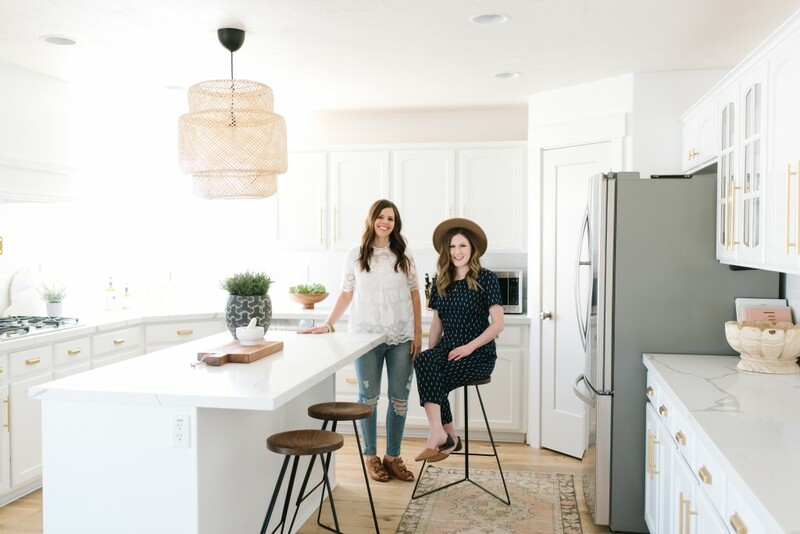 We’re Katie + Cara…two best friends and moms who are passionate about turning a house into a home! Your home is where you come to rest from the cares of the world with the people you love most, so shouldn’t it be the place you enjoy most? The best way to create a relaxing environment is to remove clutter and keep only the things that you feel to be beautiful and have purpose. Katie recently moved into a fixer upper that had a lot of charm but was in need of a lot of work. The large and spacious kitchen was the main selling factor, but it was also the room that needed the most work. First up on the kitchen renovation list was to create a neutral backdrop. 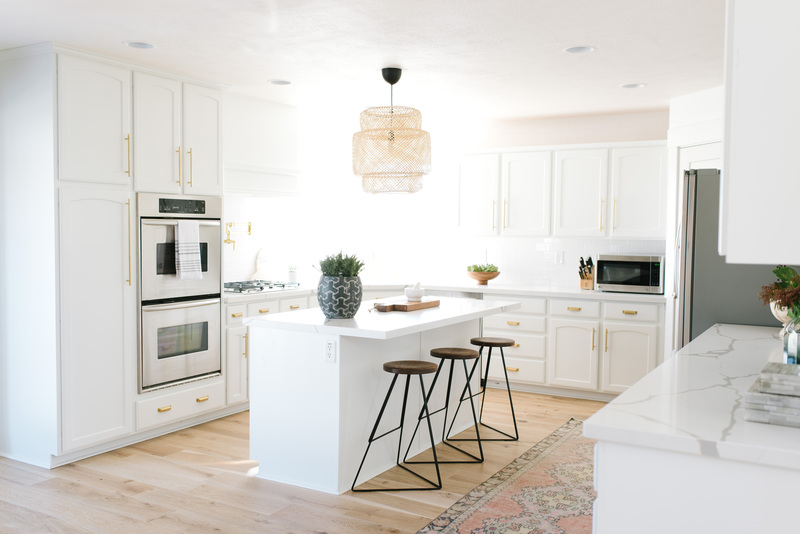 We said goodbye to the orange toned cabinets and painted them a fresh coat of white. Formica countertops were replaced with a beautiful quartz and the walls were covered in a classic white Subway tile. The kitchen was looking much better but we wanted it to feel more “gourmet”! 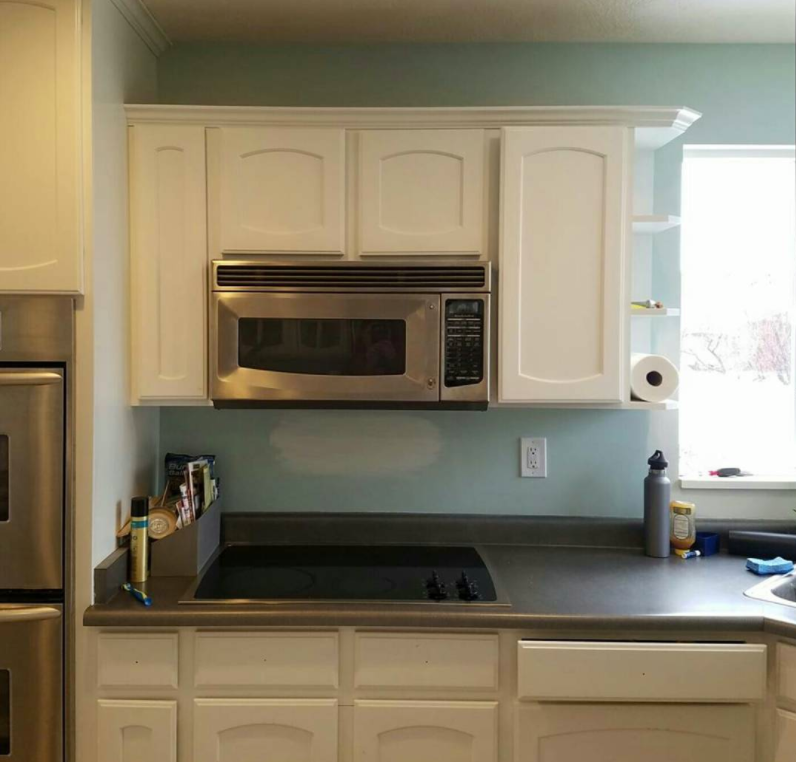 To achieve more of a high-end look, we removed the cabinets and microwave above the counter to create a more open feel. 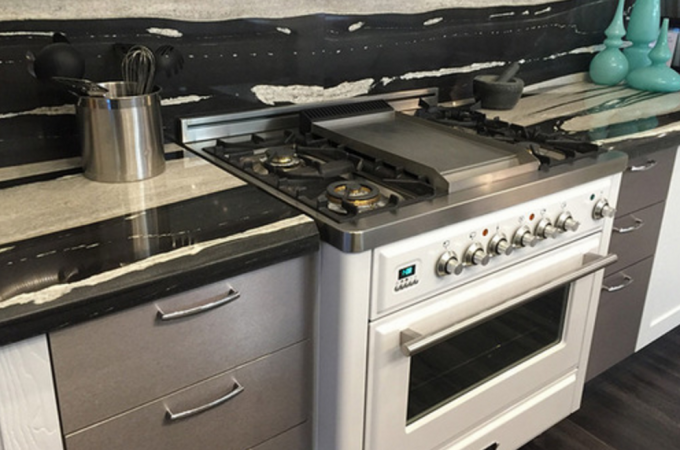 We got rid of the dated electric cooktop and instead installed a Verona 30” gas cooktop with a custom built range hood above it. 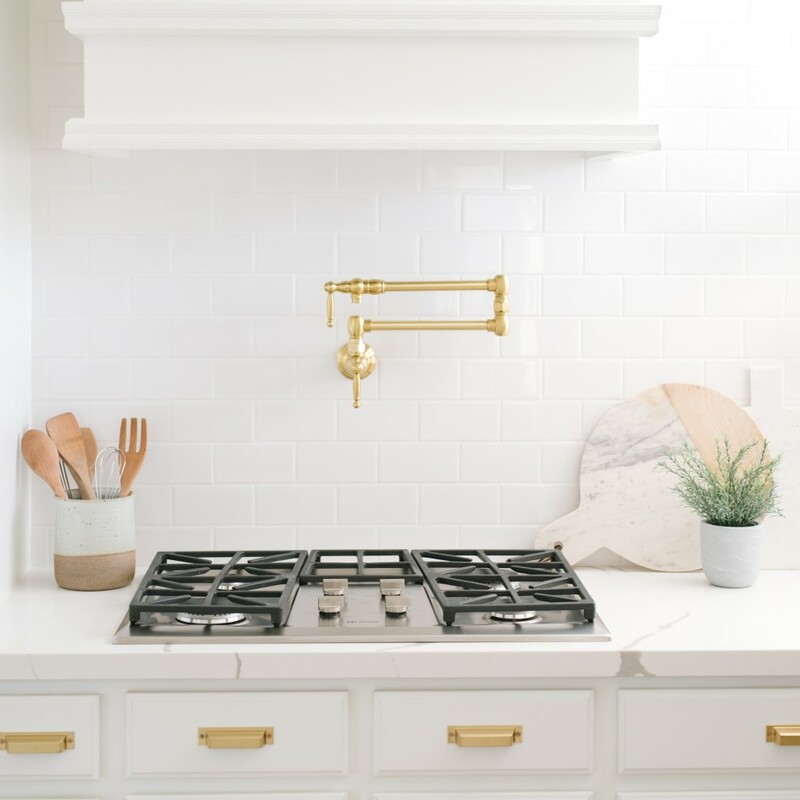 It instantly changed the entire look of the kitchen by opening it up and creating a more modern look! 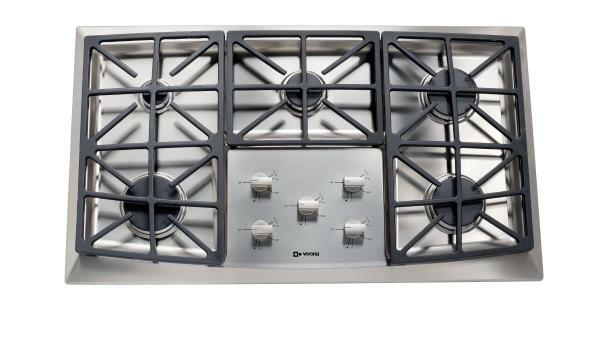 The trendy configuration of the burners and knobs fit perfectly with the aesthetic of the room. 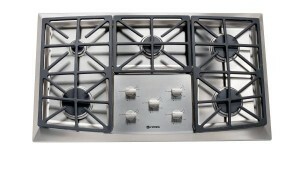 Switching out the cooktop from electric to gas came with more bells and whistles. There’s just something to be said about cooking on an open flame, isn’t there?! 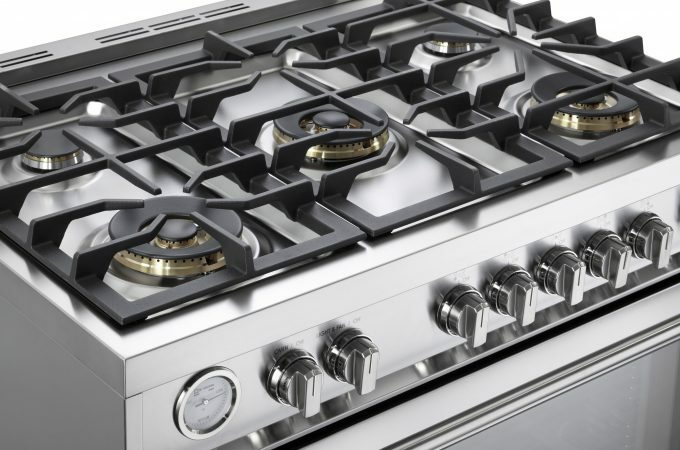 With the Verona Gas Cooktop we are now able to heat our food more quickly, and even have the option to simmer soups and sauces on the low heat setting. 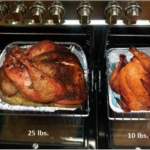 The continuous grates give us the ability to move around our pots and pans as we cook without ever needing to pick it up off of the cooktop. 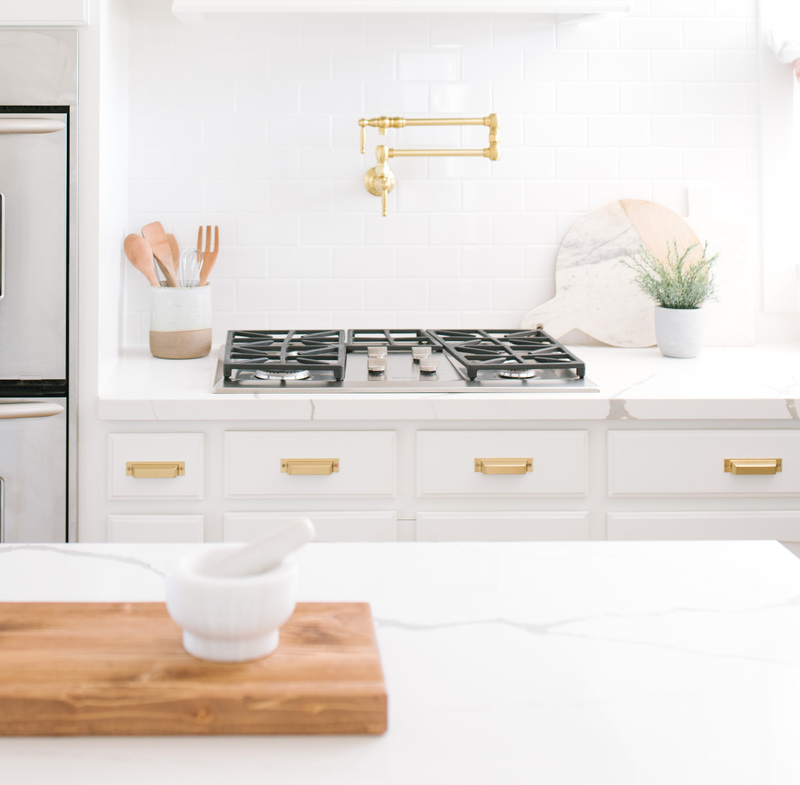 We finished off the kitchen with modern fixtures, accessories and added a few personal touches to make it feel more like home! The kitchen is the heart of the home and by creating a relaxing environment we now have a space that we can enjoy gatherings with family and friends for years to come! 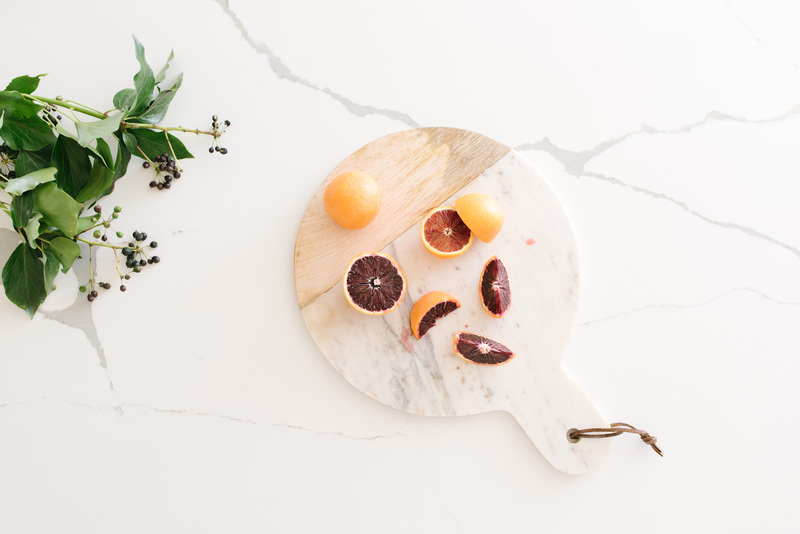 You can follow our home renovation journey on Instagram, at @Blythe_and_Barnett. Photography courtesy of Jessica Kettle Photography.